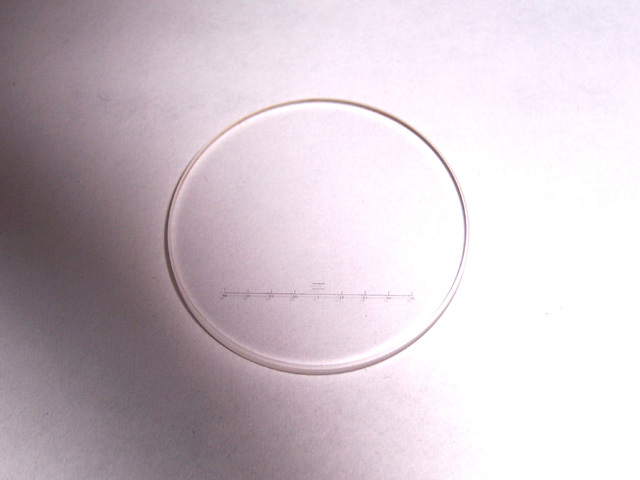 Great unused glass 7x50 reticle, 25mm diameter x 1.8mm thick. This has a horizontal scale 6mm from the bottom with 2 additional center lines above the middle of the scale. Labeled in increments: 40,30,20,10,(center),10,20,30,40. In the original military packaging.